It's almost Valentine's Day - a day of love. Sigh! I celebrate love every day. I honestly can say I love everyone I meet. I have some cute pictures to share with you today. They are Valentine covers from Calling All Girls magazine. This magazine was popular in the 1950's and 1960's, and the illustrations often featured a dachshund on the front cover. How neat is that?! The dachshund on the cover of this February 1961 magazine is taking a break from helping with a Valentine project. 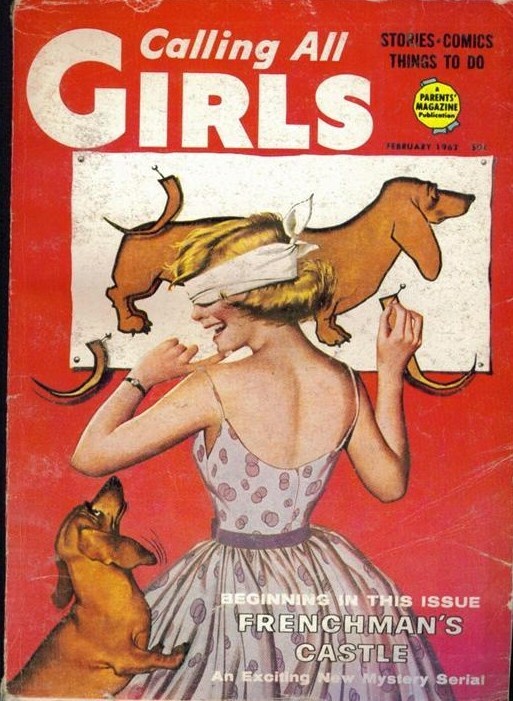 From the expression on the girl's face, I wonder if the dachshund may have helped a little too much. 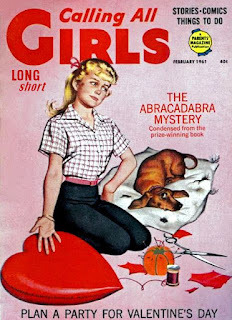 At a Valentine's Day party, a girl is playing pin the tail on the dachshund. Of course, her loyal doxie is helping. 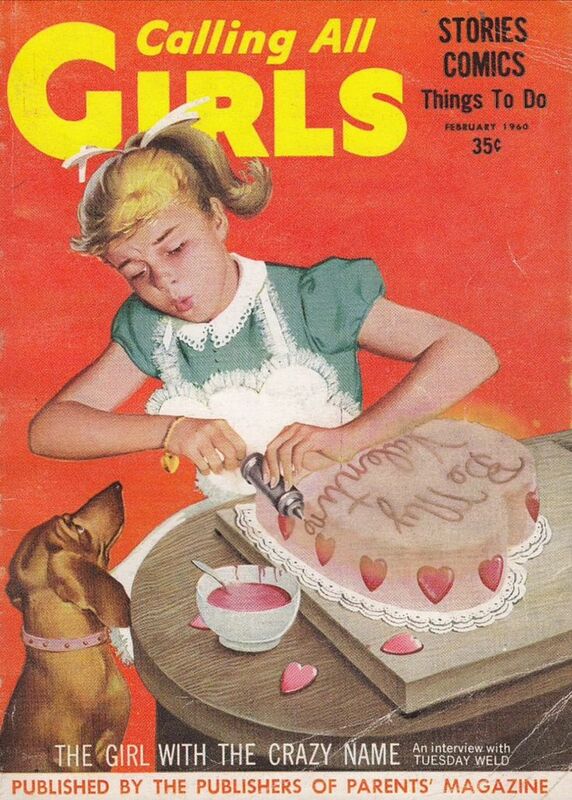 This illustration is from February 1962. This February 1963 Calling All Girls cover is all about perfume ... and since dachshunds are scent hounds, I bet the doxie will find a way to help. Wishing you a happy Valentine's Day! 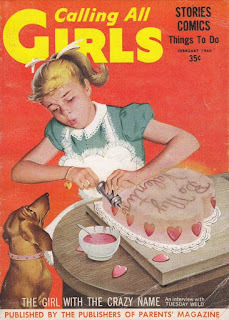 I hope you enjoyed these vintage illustrations. 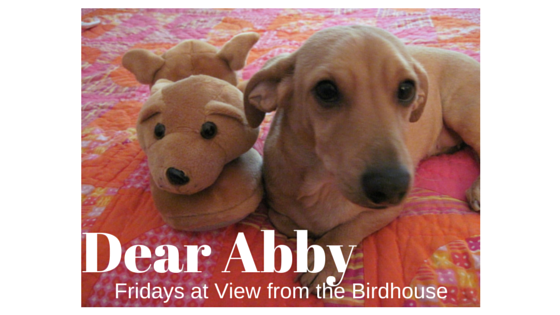 As always, I love to read your comments, as well as questions for future Dear Abby posts. 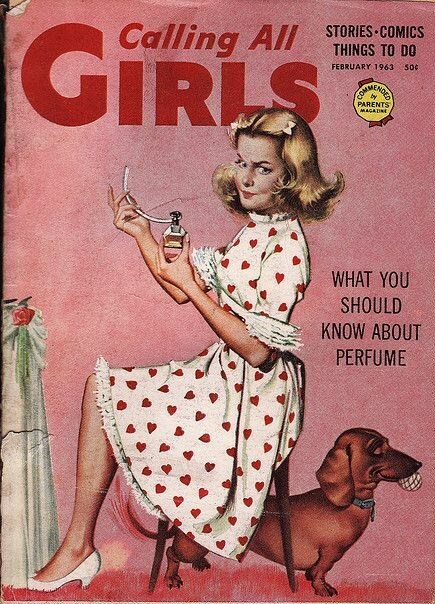 Love those old covers :-) The '63 looks like the dachshund has had enough of all that smelly stuff .... Thank you for sharing & bringing back some good memories! Love dachshunds, they are so cute!